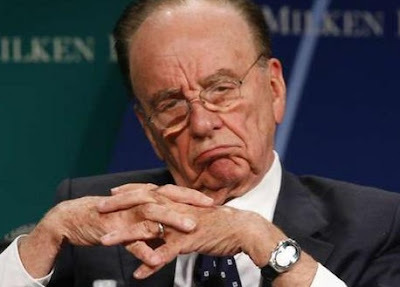 Body Language & Emotional Intelligence: Negotiation Secret # 136: What is Rupert Murdoch's Sincerity Quotient? What is Rupert Murdoch's Sincerity Quotient? Rupert Murdoch will be grilled next week in front a British Parliamentary Committee. One would expect that he'll be nervous. What about honest? Sincere? If you were one of those who will be be questioning him, would you be able to tell? Would you know exactly when to dig deeper? Are you sure? What do the position of Rupert's hands tell us here? In particular, what is the significance of his interlocked fingers? What does the configuration of his mouth, especially his lips mean? What does the position of his forehead tell you about his sincerity? What is his overall "Sincerity Quotient" in this photo? Body language is an extremely valuable tool in the detection of lies. Being able to qualify and quantify sincerity however, is sometimes more valuable. Those who are chronically insincere will eventually hurt you (probably sooner than later). Sincerity (vs. insincerity) casts a broader net than honesty (vs. deception). If someone is lying to you, they are being insincere; but all those who are insincere are not necessarily lying to you ..... yet. We all try to avoid being in relationships with insincere people. In the business world, we certainly want to keep our distance too. But can YOU really tell when another is being insincere? Are you sure?